classifications of computers and their instructions. computation of expressions with many operands. operations. Therefore, these machines are also called 0-address machines. In general purpose register machines, a number of registers are available within the CPU. CPU, a 6-bit field is required in the instruction. register, memory data register and condition codes (or flags) register, etc. store intermediate results of an operation within the CPU. understood and can be executed by a processor. the next instruction to be executed by the processor. operands are called immediate operands. unconditional, a subroutine call, as well as a call to an interrupt service routine. is 0000, as shown in this example. We can classify instructions according to the format shown below. or they are specified implicitly. the destination operand and the next instruction address. the micro-coded control unit, which will be studied later. operand address and a destination operand address. 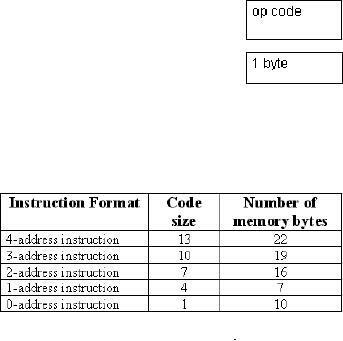 is required in 0-address instruction; it specifies the op-code. greater the code size, the larger the memory required. required for the execution cycle, as memory accesses are generally slow. 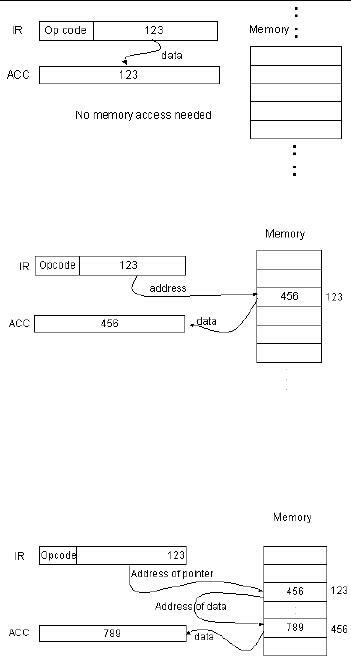 addressable memory, 24 bits are required to encode the address of the operands. VAX 11 includes instructions from all classes. instruction. Most RISC computers fall under this category of machines. one of the operands is an accumulator or a general-purpose CPU registers. machines use 3-address formats of instructions. shown in the table are the minimal instructions required to evaluate the given expression. Note that these are not machine language instructions, rather the pseudo-code. 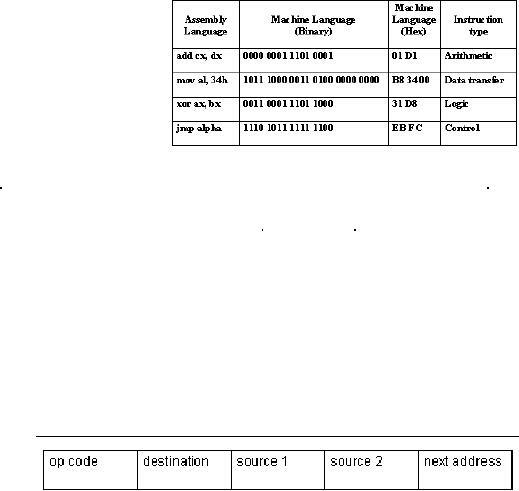 therefore the data processing instructions can also be called ALU instructions. operations are called data movement instructions. encountered. This flow change, also called a branch, may be conditional or unconditional. may interpret the effective address differently under different situations. 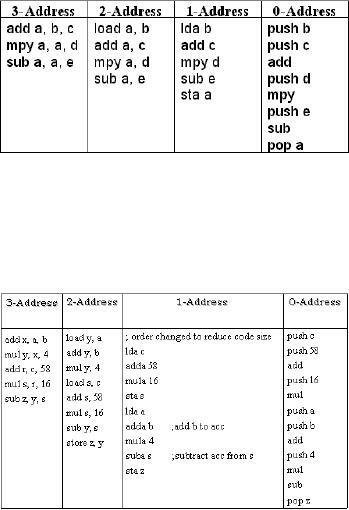 Some commonly used addressing modes are explained below. the range is -2(n-1) to +(2(n-1)-1). space by the operand field size (2operand field size locations). the operand is stored in the instruction. stored in the instruction as the operand. may be used to implement pointers. on the use of this addressing mode. 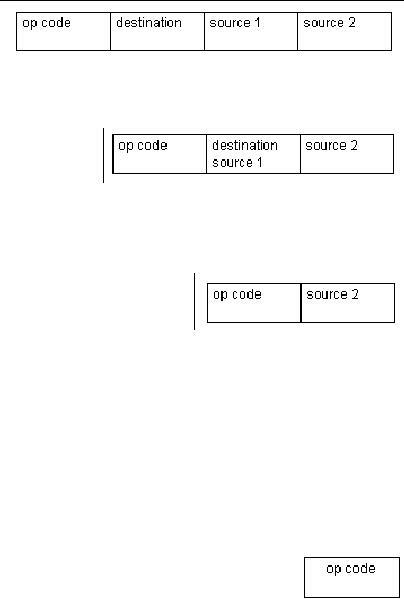 accesses compared to indirect addressing. first element is stored in a register. concepts are explained in the following discussion. one instruction per cycle without increasing the cycle time. Generally, the size of the instructions is 32 bits. memory and later stored back through the load and store operation respectively. period T can be reduced. issuing them to utilize the delay slots. 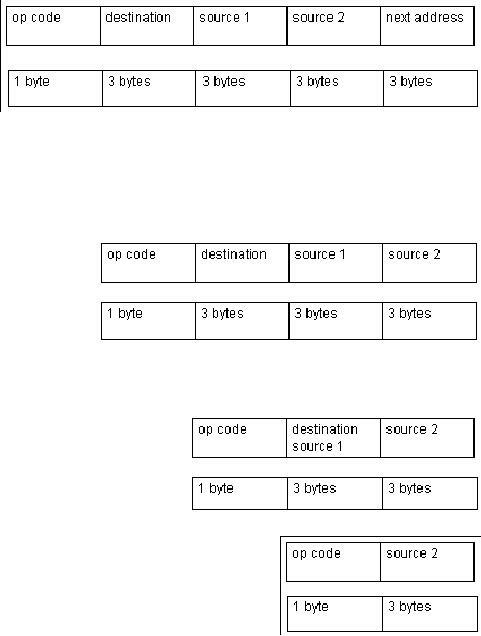 Pre-fetching and speculative execution techniques are used with a pipelined architecture. instructions can be issued. These techniques help improve the performance of processors. addressing modes. The common attributes of CISC machines are discussed below. allows the execution of compact programs with more functionality per instruction. instruction count. There are 14 addressing modes in MC68000 and 25 in MC68020. · CISC machines attempt to reduce the "semantic gap"
following are some of the disadvantages of CISC machines. circuitry and adds propagation delays in signal paths.